Laura Webb told her family she hoped London would "stay safe" in the aftermath of the 11 September attacks on the US. But the 29-year-old was killed in the bombing of a Circle Line train at Edgware Road almost four years later as she travelled to work. Her mother Hazel told the inquests her daughter was a globe-trotting traveller after graduation, taking in south-east Asia, Australia and South America. In an email sent while travelling in Peru with her boyfriend, Ms Webb said she was horrified by the New York attacks. She wrote: "I heard the horrific news yesterday of the terrorists in America. Those poor people. I hope that things in London will stay safe." The couple cut their trip short as they felt very homesick after the attacks. 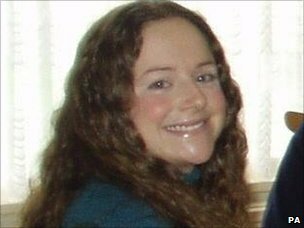 Ms Webb was last seen leaving the home she shared with her boyfriend Chris Driver in Islington on the morning of 7 July. She was heading to her job as a PA in the advertising agency, DDB Europe, based in Paddington when she was killed. The inquests heard she survived for a short period of time after the explosion, despite being the second closest to the bomber. A number of passengers tried in vain to save her with the help of other commuters who shouted instructions. 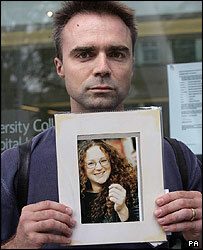 Her boyfriend and brothers desperately searched London's hospitals in the aftermath of the bombings, hoping to find her. A week later they were given the tragic news that she had died. Laura Susan Webb was born in Kingston on 12 October 1975, the third child and only daughter of her parents, Hazel and George. Her mother told the inquests she was blessed with a sunny nature which "endeared her to all who knew her". With two older brothers, Robert and David, to dote on her, she had a very happy childhood. Ms Webb attended Robin Hood Infant and Primary School, followed by Coombe Girls School in Kingston, then on to Esher College for A levels. She went to Nottingham Trent University for "a hectic three years of work, play and making yet more lifelong friendships," her mother said. There she took a degree in humanities, majoring in sociology, psychology and media studies. After graduation she and three friends went backpacking in south-east Asia, visiting Thailand, Laos, Vietnam, India and Nepal. Back in the UK, she met her boyfriend Chris while working as a runner with a television production company. They decided to go travelling for a year from December 2000, visiting Argentina, Thailand and Australia, working in Sydney for five months. After setting themselves up in the capital, Ms Webb and Mr Driver were planning to buy a house, get married and have children, the inquests heard. "Laura was always happy and laughing. She was kind and caring and could always see the best in people and never had a bad word to say of anyone. Laura loved all aspects of her life," her mother said. A picture of a fulfilled life was painted when Mrs Webb described how her daughter loved her family which was comprised of her parents, brothers, sisters-in-law, Birgit and Bethan, nephews, Oskar and Lukas, her aunts, uncles and cousins. Mrs Webb added: "She loved her job and the people she worked with and she loved her hundreds of friends. And of course, she loved her partner and soulmate, Chris, and planned to spend the rest of her life with him. "The heartache of losing Laura will never go away, but the absolute joy of having her in our lives for 29 years will never fade."